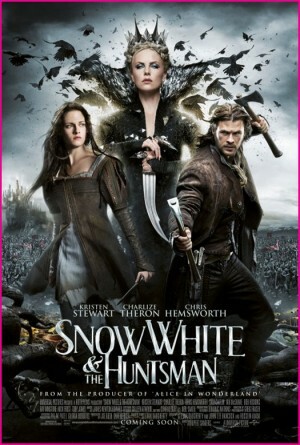 In an advanced screening of Snow White and the Huntsman, I am happy to say that the movie exceeded my expectations. I expected to fall asleep somewhere between the opening credits and the first lines of dialog, simply because I had stayed up late the night before and had a long day prior to stepping foot into the theatre. I am pleased to say I stayed awake for the whole thing. That’s where my happiness ends. Saying Snow White was a bit of a mess is like saying that World War II was a bit of a misunderstanding. The problem with a movie like Snow White and the Huntsman is this: the basic premise is a well-known story. Now, that’s not necessarily a bad thing. For example, James Cameron took a very well known story in Titanic and crafted a movie around it that was compelling enough to get 14-year-old girls to beg their parents to let them see it 5 times. OK, maybe that was because they all were drooling over Leonardo DiCaprio. But, I digress. When you have a well known story, you have to do something with it to make it new and fresh. Here, we got a slightly different take on the Seven Dwarfs. We got a smidge of backstory on the Evil Queen but it was a confusing mess. We got a new character, the Huntsman but he seemed like he was there to just, well, be there…a walking, talking piece of Plotonium. The director and writer tried to make the story darker and certain pieces worked but, it wound up like a box of stale donuts. They look like you want to eat them, until you actually do. Here’s the deal: Chris Hemsworth can act…we’ve all seen it in Thor, The Avengers, and, briefly in Star Trek. But this movie didn’t really tax him. I remember listening to him grunt and groan during a battle scene and thought out-loud, to the chagrin of the person sitting next to me, “wow, that was tough dialog.” They needed to do more with his character, not necessarily have the character do more on the screen, if that makes sense. 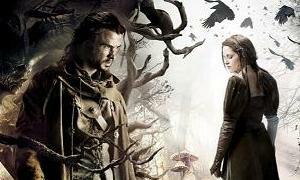 Charlize Theron was ridiculously beautiful in this movie and she nailed the cold-and-evil Queen. I will say that she was probably my favorite part of this movie. But, it wasn’t enough to carry it. And then there’s Kristen Stewart. I will say that I like when a movie makes me stop and think, where it appeals to my emotions. And her performance did that. I made me stop and think “why, oh why, did they cast her?” I understand that she is the new It girl, the Fresh-and-Pretty Face of Hollywood. But, at the end of the day, you need to sell your character. She failed, miserably. Her performance appealed to my emotions: I hated it. Perhaps if they can find a role for in a silent movie where she plays a mute, I think she may find a role that works for her. Otherwise, she really needs to go back to acting lessons and start in small, non-lead roles; or, maybe she can go back to being the Fresh-and-Pretty Face of a Fashion Magazine, where no dialog or emotional conveyance is required. But, please, oh Casting Gods of Hollywood, stop pushing her out in front of the camera… she isn’t ready. The movie just failed to connect on so many levels. Recasting Kristen Stewart wouldn’t have saved this because the failing wasn’t completely hers. Charlize Theron and Chris Hemsworth could have drug Stewart along and made this something worth watching but the material they were given was nothing they could work with. No, this time it was the director and writer who failed the story. I am sure I will wind up taking my seven-year-old daughter, who will love this movie. But, with the darker overtones hinted at in the previews, I was hopeful it would appeal to adults. But, as an adult viewer, in the end nothing in this movie was completed well, nothing felt fully done. They undercooked my stale donuts. Pretty much how I feel about everything Stewart has been in. She just isn’t ready for the big time yet. Good B-movie actress but certainly not up to the A-List.